Characterize pediatric surgical capacity in the eastern Democratic Republic of Congo (DRC) to identify areas of potential improvement. The Pediatric Personnel, Infrastructure, Procedures, Equipment, and Supplies (PediPIPES) survey was used in two representative eastern DRC provinces to assess existing surgical infrastructure and capacity. We compared our results to previously published reports from other sub-Saharan African countries. Fourteen hospitals in the eastern DRC and 37 in 19 sub-Saharan African (SSA) countries were compared. The average PediPIPES index for the DRC was 7.7 compared to 13.5 for SSAs. The greatest disparities existed in the areas of personnel and infrastructure. Running water was reportedly available to 57.1% of the hospitals in the DRC, and the majority of hospitals (78.6%) were dependent on generators and solar panels for electricity. Only two hospitals in the DRC (14.3%) reported a pediatric surgeon equivalent on staff, compared to 86.5% of facilities sampled in SSA reporting ≥ 1 pediatric surgeon. Significant barriers in personnel, infrastructure, procedures, equipment, and supplies impede the provision of adequate surgical care to children. 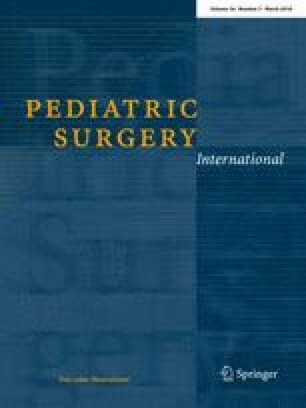 Further work is needed to assess allocation and utilization of existing resources, and to enhance training of personnel with specific attention to pediatric surgery. Accepted for podium presentation at the American College of Surgeons Surgical Forums, Chicago, IL, Oct 2017. The authors have no potential conflicts of interest, including financial interests and relationships or affiliations relevant to the subject of this manuscript and research.